Christine emigrated from England in 1965 and for 25 years worked as a Home Economics teacher in Squamish, Burnaby & North Vancouver. After completing her Masters in Counselling, continued working in North Vancouver as an elementary area Counsellor for a further 10 years. 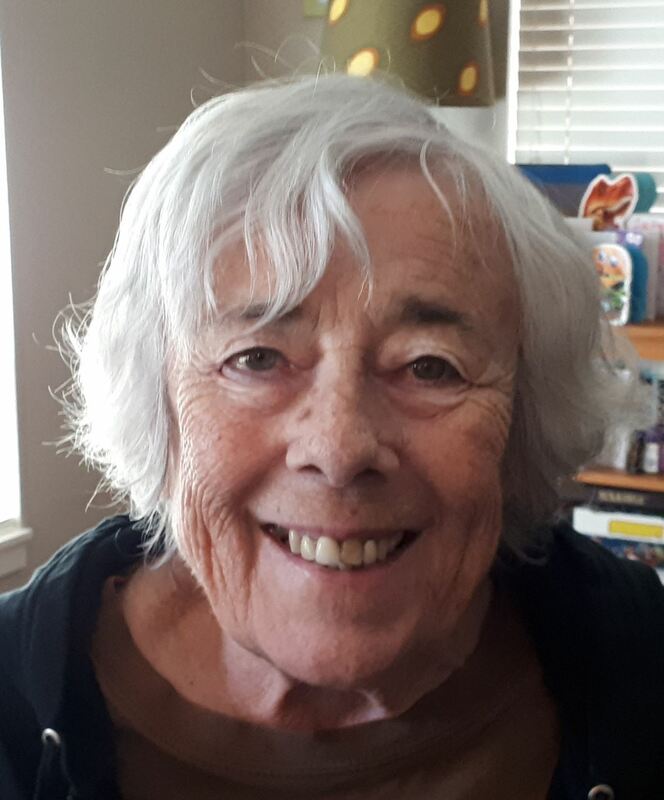 After retirement in Jun/77, she moved to Sechelt on the Sunshine Coast, where she has chaired a 32-unit strata corporation served two terms on the board of the Sunshine Coast Community Services Society. and volunteered on the Board of Whistler Vacation Club involved in refurbishment and renovations of club properties. Christine is now devoting all her time & energy to BCLA projects and making more time for physical activities. In 1993, with no explainable cause, Christine developed primary lymphedema in her right arm. For the first 20 years she had very limited direction in how to manage the condition and suffered a number of cellulitis infections. In 2013, after pursuing further medical assistance, she finally met Dr. Weiss and Fatima Inglis at Holy Family Hospital through whom she learned how to manage the condition to reduce the risk of further infections. Her motivation in supporting the BC Lymphedema Association is to help others learn about resources and supports available to manage their condition. Christine answers the information line calls for BCLA. Lila owns a home-based service oriented business assisting seniors, and individuals with long-term disabilities, as well as those who have been temporarily disabled by surgery or injury. Her background is in administration at the municipal government level. 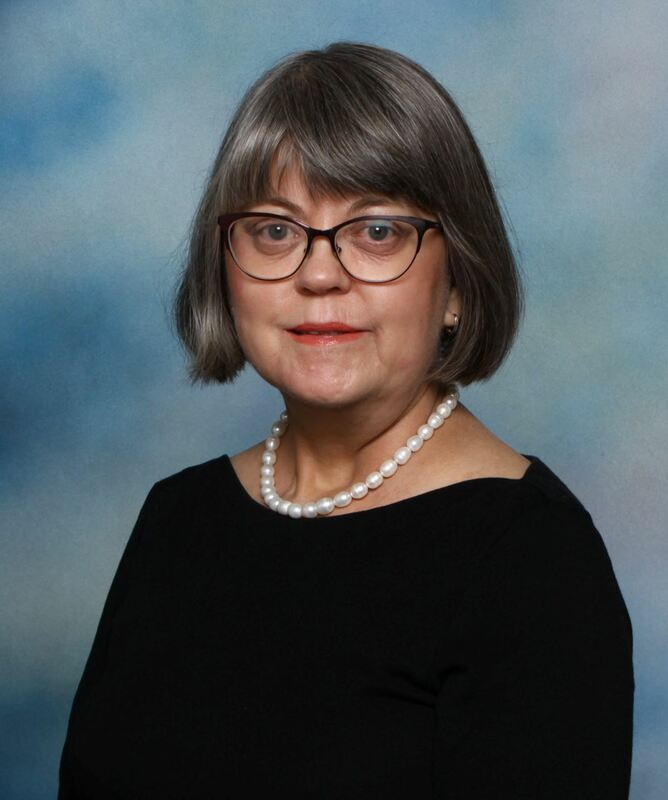 Lila has extensive experience serving on a number of Boards including the Elizabeth Fry Society, Friends of the Library, and the Prince George Alcohol & Drug Services Society. She is actively involved in her community volunteering with the Prince George & District Child Development Centre, the Regional District of Fraser Fort George Community Counseling Committee, Ladies of the Royal Purple, and the Prince George Friends of the Library. Diagnosed with breast cancer in 1988, she underwent a radical mastectomy and was warned about lymphedema at that time. Not understanding what that word meant, only recognizing that it did not sound like “cancer” - sadly, she did not pay much heed to the warning. In 2014, she began to suffer the symptoms of secondary lymphedema in her left arm and hand, but was not properly diagnosed until 2015. Since that time, she has faithfully followed a program of lymph drainage massage therapy with a properly trained physiotherapist and the use of compression sleeves. Learning to live with lymphedema has been a huge challenge both physically and emotionally. Lila’s interest to serve on the Board is prompted by wanting to exert whatever influence may be placed on the clothing industry to recognize the plight of lymphedema patients and to encourage that industry to take our particular issues into consideration. She is also keen to influence government policy regarding proper medical coverage for patients of lymphedema, many of whom have no financial aid whatsoever; while others are fortunate enough to have limited private financial aid through extended health plans, etc. This financial burden can be lifted for all; we just have to make it happen. Treasurer - Info coming soon! Janine was born and raised in Vancouver and received her Bachelor of Education from UBC in 1978. She has been a primary grade teacher in the Delta School District ever since, while raising her three daughters. She enjoys travelling, walking, hiking, cycling, swimming and spending time with her family. Janine has been a member of the BCLA since 2009. In the past, she has enjoyed “giving back” by volunteering at VGH by making one-to-one visits to patients on a weekly basis. Janine developed lymphedema in her left leg due to vascular tumor removal surgery in 1998. She was not informed about this chronic condition as little was known about it in the medical community at that time. Luckily, she met her MLD therapist who has helped her deal with and educate her about lymphedema. Janine knows it is a challenge to live with, both physically and mentally, but she has learned that you can still enjoy life even with lymphedema. It just takes effort and support. Janine is always on the lookout for new treatments and therapies to help reduce her lymphedema. She is an advocate of a healthy lifestyle and a goal for her is to promote awareness and an understanding of lymphedema both in the general public and the medical community. Sharla is a sales professional with 15 year’s experience in the corporate world, including sales management, sales enablement, channel management, business-to-business sales, new business development, marketing and project management. She is passionate about people and has diverse volunteer experience, which includes coaching sports, reading to children, and sitting on the Board of the UVIC Business Students' Society. 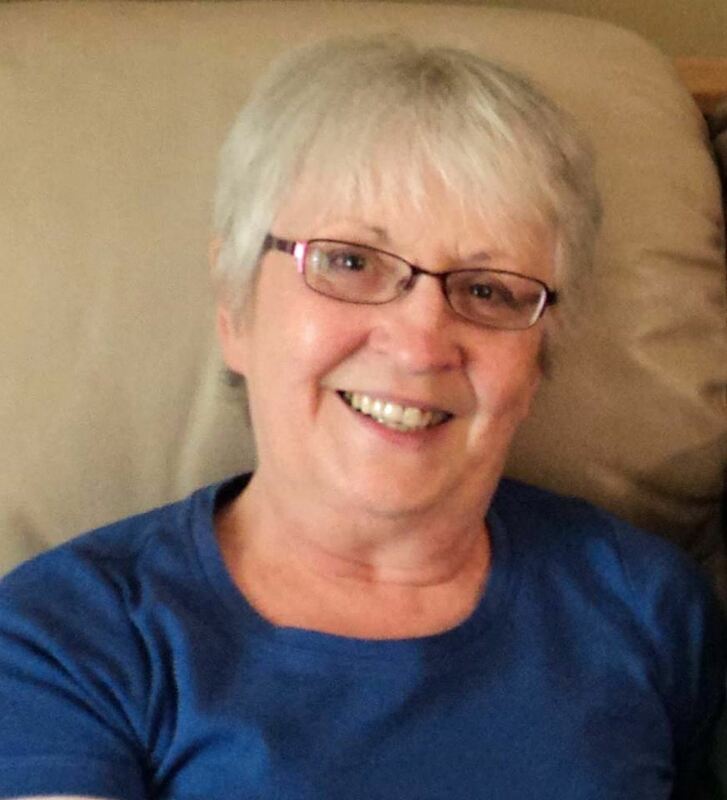 While in university, Sharla was diagnosed with a rare form of cancer and, as a result, she has lived with lymphedema in one leg following surgery and radiation treatment in 2000. Sharla is determined to advocate for more standardized treatment across Canada and looks forward to being a voice for such a good cause. In her spare time, Sharla skis, plays volleyball, ultimate Frisbee, tennis, squash and is an avid reader. Sharla splits her time between Vancouver and Gibsons on the Sunshine Coast. Willa Condy Seymour has lived in B.C. all of her life. She has Primary Tarda whole body Lymphedema which started up when she was 50 and started in the left side of her face and neck. After three years of searching for answers she was diagnosed with Lymphedema Tarda and started looking for answers. Her Lymphedema continued to cross quadrants until it covered her total body. She lives in Trail B.C. with her husband. Photography and writing are her hobbies and she enjoys spending time with her family and friends. Her favourite exercise is in the pool which she enjoys for the positive impact the aquatic exercise makes on her Lymphedema. Don’t sweat the small stuff has become her mantra since dealing with her Lymphedema. That and spreading the word about Lymphedema and other lymphatic conditions. A lifelong Westcoaster with temporary stops in such far-flung locales as Iran and California, Toni Green has been involved in technology and graphic design for many years. A writer and former local newspaper columnist, she has always been interested in activist causes, both local and international. Toni is now most often found in the garden and was certified as a Master Gardener a few years ago in Vancouver. Toni developed breast cancer in 2011, and after six months of chemotherapy had a right radical mastectomy in November of that year. In January of 2012 she developed lymphedema in her right arm. At no point in her cancer and mastectomy process was Toni given any medical information, advice or warning about the possibility of lymphedema developing as a result of her surgery. Additionally - and unfortunately - she did not have the advantage of extended medical benefits to assist her in fully accessing lymphedema treatment and ongoing management. Toni wishes to be an advocate and voice for those with this awful affliction - particularly those who are without medical benefit plans or the financial means to seek full treatment. The journey to managing this condition is an expensive one. There is simply not a lot of information out there about lymphedema, and if you don't have the financial ability to pay out-of-pocket, what help there is, is not easily available to you. This must change. AMBER PITMAN ~ Info coming soon! Gail moved to Sechelt in 2011 shortly after retiring from a teaching career that spanned 30+ years. She taught every grade from 1 to 6 but loved working with children in grades 3 and 4. 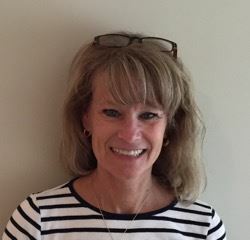 She also was a literacy specialist in a number of schools as well as worked as a Reading Recovery Teacher Leader, teaching teachers how to work with struggling readers in K to 3. She was diagnosed with breast cancer shortly after retiring and had a double mastectomy before moving to the coast. Though she had great after surgery care, in Alberta, and was informed of what to do and not do with regards to lymphedema, she end up developing lymphedema in her arm as a result of moving a small empty hutch. She knew immediately that something was not right and within a short period of time her arm began to swell. Unable to secure any assistance from knowledgeable sources until about 8 weeks after, her arm became more swollen. The treatment secured at that time was unsuccessful and it wasn’t until a fitter in Vancouver steered her in the direction of Dr. Elliot Weiss, at St. Paul’s hospital, that she finally got the help and support that she needed. Dr. Weiss and his physiotherapist Fatima Inglis, were not only able to provide her with the treatment plan she needed but also encouraged her to become involved in the BC Lymphedema Association. At the time, they were both serving on the BCLA board. The Pathway’s magazine helped her secure the services of an RMT who completed her treatment team and was also instrumental in her becoming a participant in a couple of research projects at UBC in Vancouver. Janet is a Registered Physiotherapist BHScPT and Certified Lymphedema Therapist (LANA). She received her lymphedema certification from Guenter Klose of the Foeldi Clinic in 1995. Janet’s caseload is predominantly providing lymphedema therapy and physiotherapy to people with both primary and secondary lymphedema. This includes manual lymphatic drainage, compression therapy and exercise. She has a strong interest in patients recovering from breast cancer, melanoma and other cancers or surgeries that have impacted the lymph nodes and lymphatic system including problems such as axillary cording, radiation fibrosis and mobility issues. Janet also has a wide range of experience treating patients with orthopaedic problems. In 2010 she completed her yoga teacher certification (RYT200) and often applies yoga concepts and poses when planning rehab and exercise programs for her patients. She strives to provide the best care possible to her patients and uses education, exercise programs and manual therapy techniques. Wendie is a Medical Oncologist at BC Cancer. After her Internal Medicine and Medical Oncology training, she completed a clinical fellowship in breast cancer, all completed through the University of British Columbia and BC Cancer - Vancouver. Her main focus is in the treatment and management of breast cancer but also treats sarcoma and lymphoma. She has published numerous research articles, reviews and editorials on breast cancer in peer-reviewed journals. 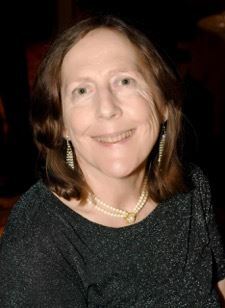 As a breast cancer survivor herself, living with lymphedema, she is aware of the need for increased awareness regarding the prevention and treatment of secondary lymphedema in patients living with or treated for cancer. Linda (Koby) Blanchfield is an RMT, of twenty nine years and 27 years of experience working with lymphatic pathologies including primary and secondary lymphedema. She believes that while volume reduction is important, patient education and self management are equally important. Koby has maintained her status as a Vodder Certified MLD Therapist since 1992, regularly attending Vodder Therapist Reviews. She is a Certified Lymphedema Therapist (CLT) with the Lymphology Association of North America (LANA) since 2002. She has maintained her standing with LANA by attending conferences sponsored by the International Society of Lymphology, the International Lymphedema Framework, the Canadian Lymphedma Framework, the National Lymphedema Network (2016 presenter), the Australasian Lymphology Association. Koby is also a Certified Instructor (all levels) with the Dr. Vodder School/Dr. Vodder Academy International and travels internationally to teach manual lymph drainage and combined decongestive therapy to a variety health care professionals.